In the last couple of weeks, two shootings have lead to the deaths of two lawyers. In one shooting, a lawyer was murdered in the parking lot of the courthouse by two men in an apparent hit. In the other, a disgruntled party to a lawsuit shot the opposing counsel and another victim during a mediation session. Understandably, these two shootings have hit close to home for some. How do you know that your disgruntled client or opposing party won't snap and turn a gun on you? Much like the aftermath of the Sandy Hook shooting, some have suggested that lawyers themselves should consider carrying weapons for self-defense. Of course, that wouldn't have helped the murdered prosecutor, as most courts don't allow weapons in the courthouse. Nonetheless, concealed carry could soon become a legal reality. The Seventh Circuit recently ruled that the right to bear arms extends outside of the home. The Fourth Circuit is due to weigh in soon in an opinion that could force states to give concealed carry permits to anyone who qualifies, as opposed to the present discretionary system prevalent in many states, such as Maryland. One organization that would likely oppose such a change is the American Bar Association. Last week, ABA President Laurel Bellows sent a letter on behalf of all members of the association to Congress supporting "reasonable" restrictions on gun ownership. She also testified in support of Sen. Diane Feinstein's proposed Assault Weapons Ban. Should she be taking such a principled stance on a hot-button issue? After all, many would say that the point of the ABA is to promote the advancement and ethics of America's lawyers and the profession in general -- not to take a stance on such a divisive issue. 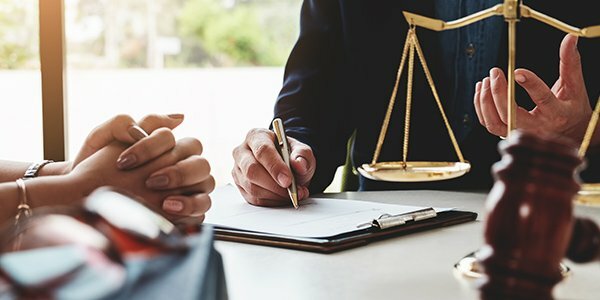 The belief that lawyers share a responsibility to help create a just and secure society in which firearms are well-regulated. According to the organization's long-standing principles, President Bellows' actions were fully appropriate. This won't satisfy the more conservative members of the ABA, many of whom commented passionately on the ABA website in the past week. Some pledged to cancel their memberships and seek refunds on their dues. By advocating their leaders' principles, the ABA may be alienating a substantial portion of their constituents. Which brings us back to the original issue: What is the solution to gun violence? Whether the victims are two lawyers or dozens of school children, the status quo certainly seems undesirable. Is the solution concealed carry, blanket bans on semi-automatic weapons based on cosmetic features, or something else altogether? And though we're all likely growing sick of the debate, which people and organizations should be leading the charge?